Take 60 seconds pauses between steps. This workout should take 15-20 minutes to complete it. 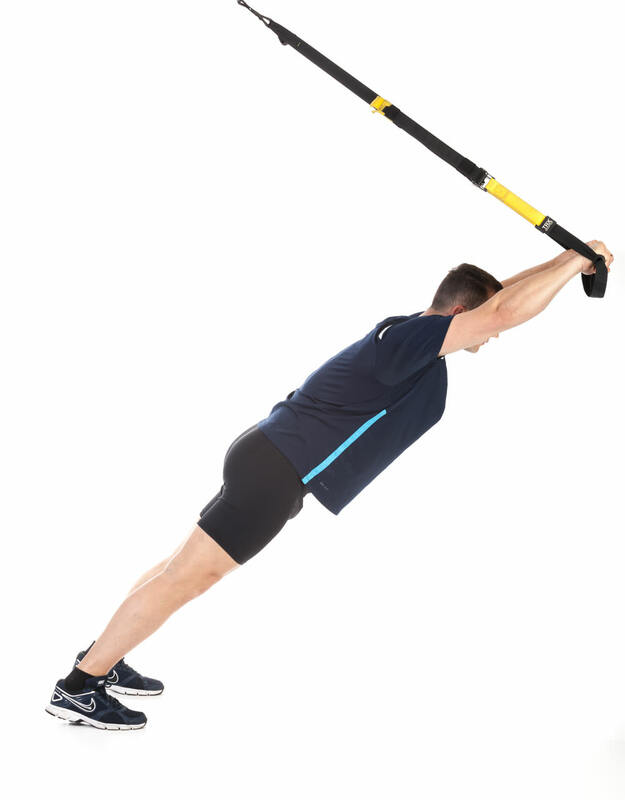 This functional training is very effective at improving balance, stability, and coordination. Medium, male workout for the gym. Stand facing away from the anchor and grab the handles. Keep your arms extended at shoulder height, keep your palms facing down and lean slightly forward on the balls of your feet. Slowly drive your arms up and lean forward keeping your core engaged. Return to the start position maintaining full body alignment. Repeat the exercise according to the training plan. Stand facing the anchor and grab the handles. Pull your arms overhead. Keep your palms forward. Drop your hips back bending your knees slightly. 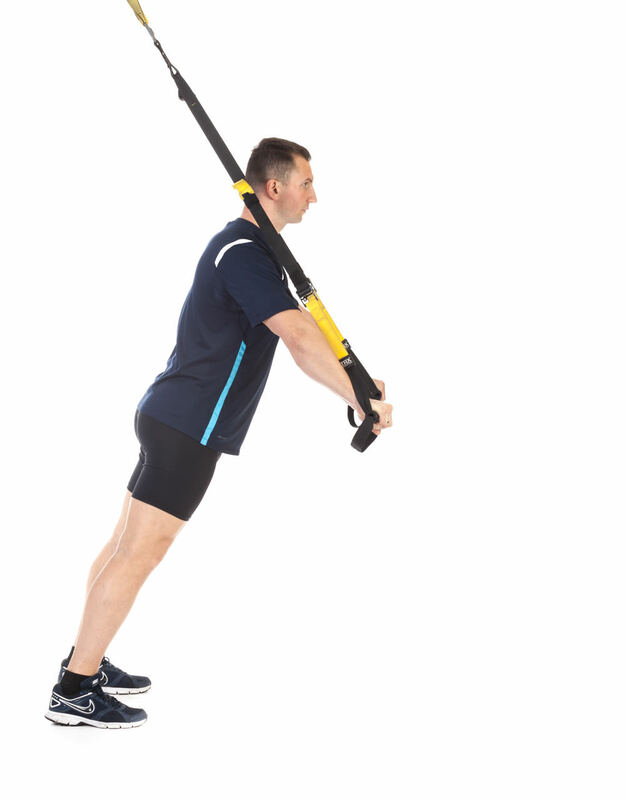 Drive back to the starting position using your core muscles. Repeat the exercise according to the training plan. Kneel facing away from the anchor. Keep both your feet in the foot cradles. Align your hands with the shoulders. Lift your knees off the ground, keeping the legs straight. Raise your hips toward the ceiling. Return to the start position and repeat the exercise according to the training plan. Kneel facing away from the anchor with both your feet in the foot cradles. Align your hands with your shoulders. Lift your knees up from the ground. Extend your body. Hold your body in a straight line. Maintain body alignment from head to toes. Lie down facing the anchor point. Place both your feet in the foot cradles. Lean back on your elbows. Lift your hips up from the ground. Hold your body in a straight line. Maintain body alignment from head to toes. Lie sideways to the anchor point. Place both your feet in the foot cradles with the top leg forward and align your elbow with the shoulder. Keep the top hand on the hip. Line up the front heel with the back toes and lift your hips up from the ground. Hold your body in this position. Maintain body alignment from head to toes.